River cruise line Emerald Waterways is expanding into ocean cruising with a newly-built yacht. Set to debut in 2019, the MV Adriatic Princess II will sail the Dalmatian Coast of Croatia in the Adriatic. It’s one of the most scenic regions in the world. With a topography as dramatic as it is diverse, the Dalmatian Coast is home to thousands of islands, mountain outcroppings and ancient cities. It’s also the trendiest of vacation spots. Visitors are drawn by the combined allure of azure waters and a history that dates back to the 7th century. Emerald Waterways will offer a total of 22 Dalmatian Coastal cruises from April through October 2019. Three different itineraries include the eight-day Islands of Dalmatia cruise between Trogir and Dubrovnik, Croatia. 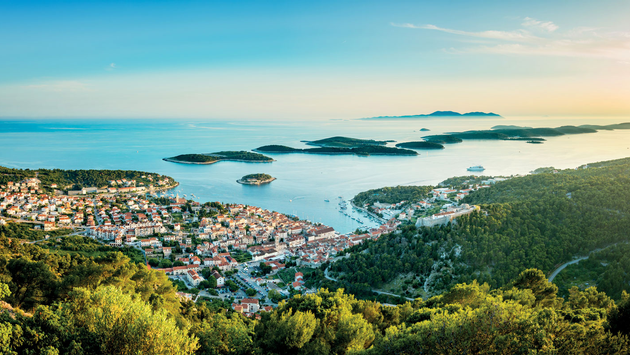 The 11-day Islands of Dalmatia Cruise & Zagreb sails from Dubrovnik to Zagreb. And, the 16-day Discover Croatia and the Islands of Dalmatia itinerary travels between Dubrovnik and Budapest. Each of the cruises calls on historic sites, including Split, Korcula and Hvar. They also visit a number of UNESCO World Heritage Sites, such as Trogir and Sibenik. The itineraries also feature time in Dubrovnik, known as the “Pearl of the Adriatic.” The city’s picturesque Old Town surrounded by imposing stone walls have made it a popular movie and TV filming location. Its limestone-paved pedestrian streets are lined with shops and restaurants. Surrounding them are Baroque, Renaissance and Gothic landmarks. Other cruise highlights include the medieval streets and Renaissance architecture of Trogir. From the small town of Skradin, guests will visit the waterfalls of Krka National Park. And the famous scenery of the island of Hvar includes lavender fields, vineyards, villas, Gothic palaces and 13th-century ramparts. Split is the largest city on the Adriatic coast, offering an impressive mix of Roman and modern architecture. Pucisca, on the island of Brac, is considered one of Europe’s loveliest villages. Another island, Korcula, is one of the greenest in the Adriatic. It’s known for its medieval architecture, ancient towers and red-roofed houses. And, in the village of Ston, a guided tour and wine tasting awaits. It’s only fitting that a season of new ocean cruises should feature a new vessel. Emerald Waterways guests will sail aboard the all-new MV Adriatic Princess II. The yacht was purposely built to sail the small ports and islands of Croatia’s eastern seaboard. It’s an intimate vessel, accommodating 36 guests in 18 suites. Each suite features complimentary Wi-Fi, an LCD TV, high-quality linens, and a window or porthole. The crew is English-speaking. Elegant public spaces aboard the MV Adriatic Princess II include an open-plan restaurant for breakfast, lunch and dinner. Guests enjoy complimentary wine, beer or soft drinks with meals. The yacht also features a bar, al fresco lounge and spacious sun deck, fitted with sun beds and deck chairs. 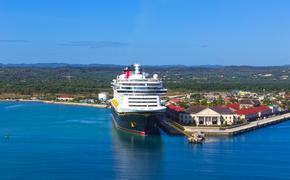 One additional feature adds an immersive factor to the sailings. Quite literally. Specially-fitted aft pool ladders provide a platform for guests to slip into the sea. They can swim or snorkel while the yacht is at anchor. Guests interested in extending their travels by river can combine a Dalmatian Coast yacht cruise with select Emerald Waterways river cruise itineraries. A three-night ocean cruise extension in Zagreb is also available.